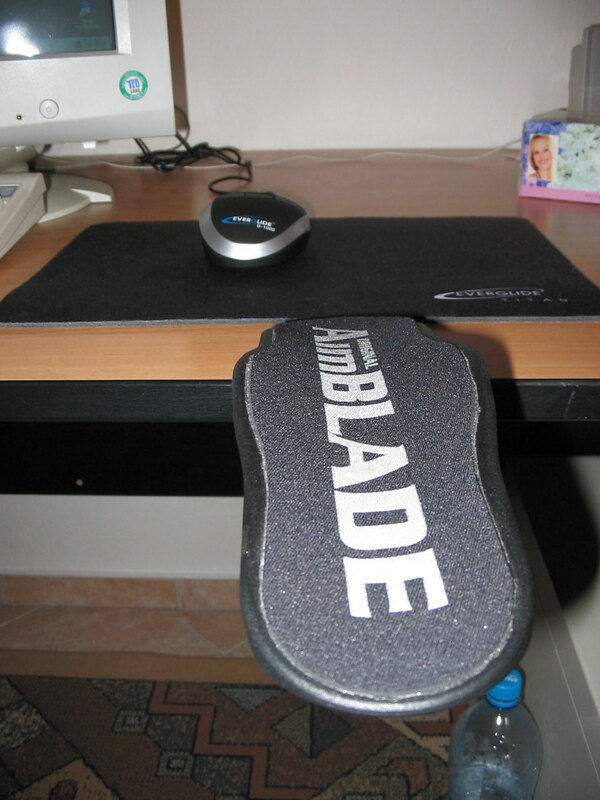 The AimBlade is the kind of ergonomic type product that I would normally not purchase, but it somehow got my attention when I checked the IndiWEB website. 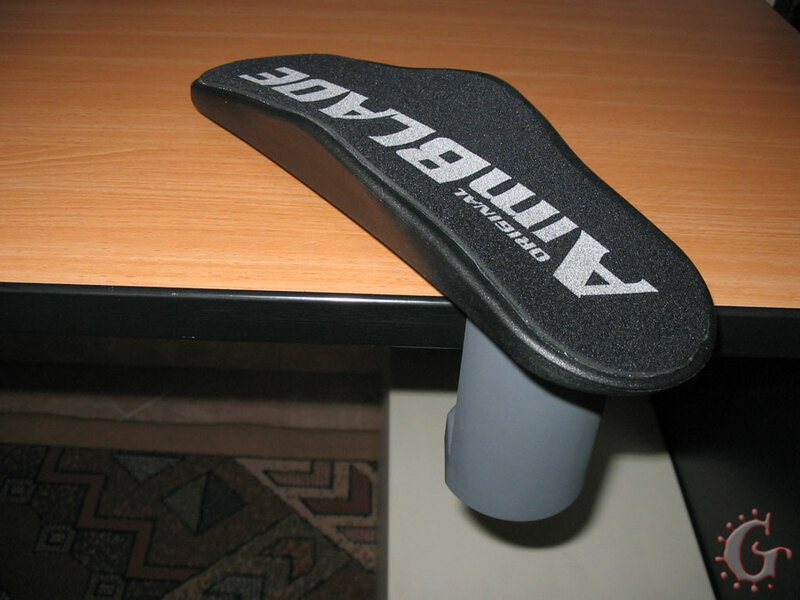 It gives you a stable position and might prevent RSI. Maybe I'll like it and use it. 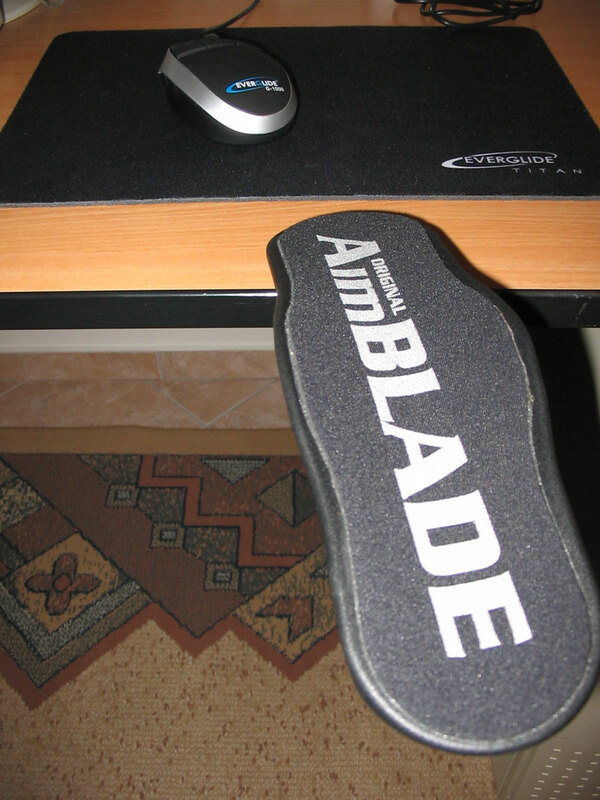 The AimBlade was developed particularly as ergonomic support for the strongly stressed ranges. 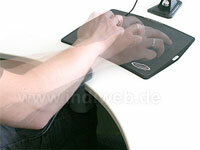 If you have a short desk you are constantly scraping your elbows or wrist over the side. That's when the AimBlade comes into play. Not only does it act against RSI, it also gives you a lot more comfort. 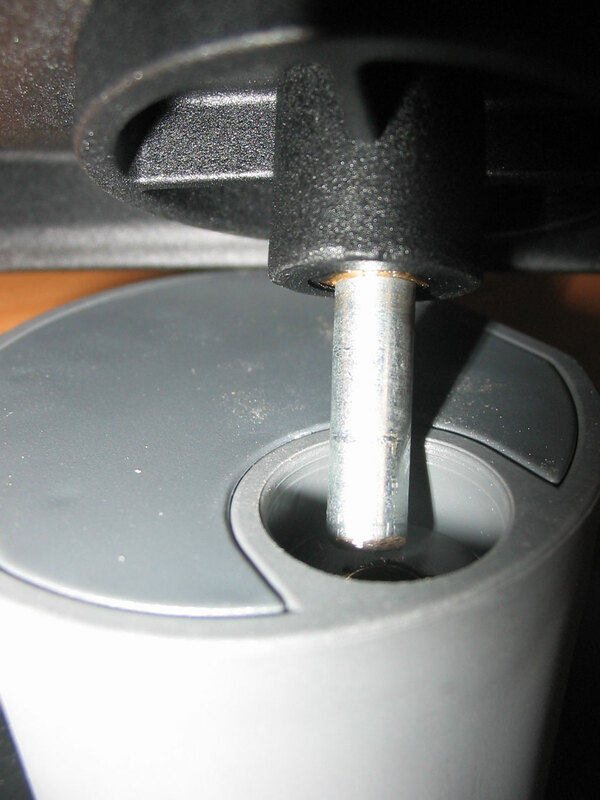 Do you wonder what the heck is a repetitive strain injury (RSI)? 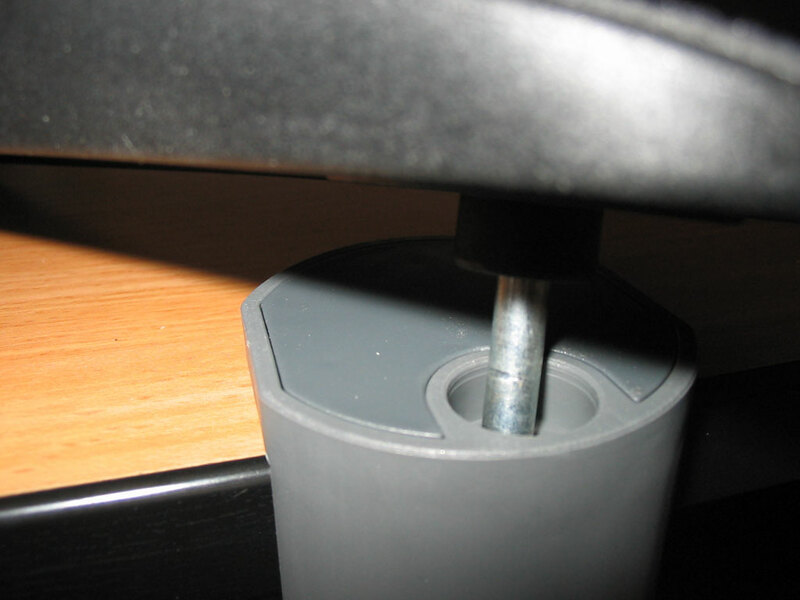 The package includes the actual AimBlade and the universal holder for your desk. 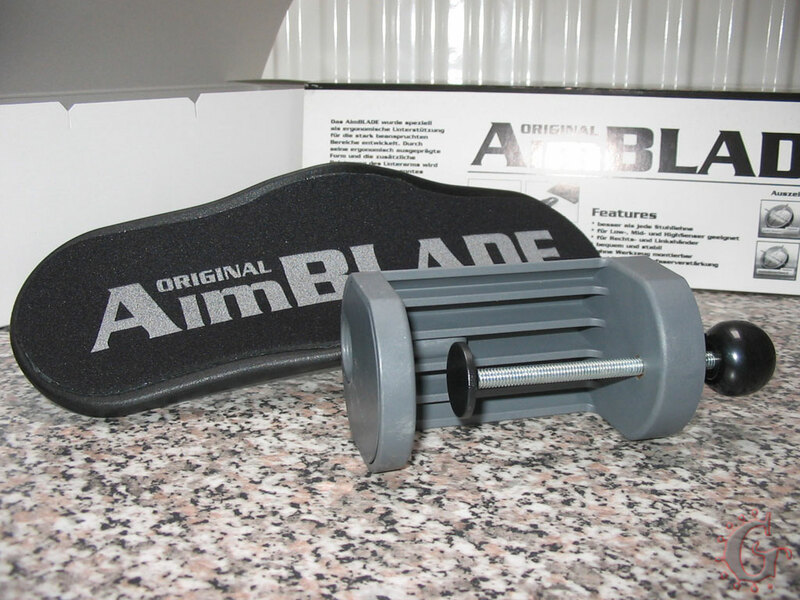 What's great about the AimBlade is the fact that you can remove the main part from the holder, or turn it round 360 degrees. 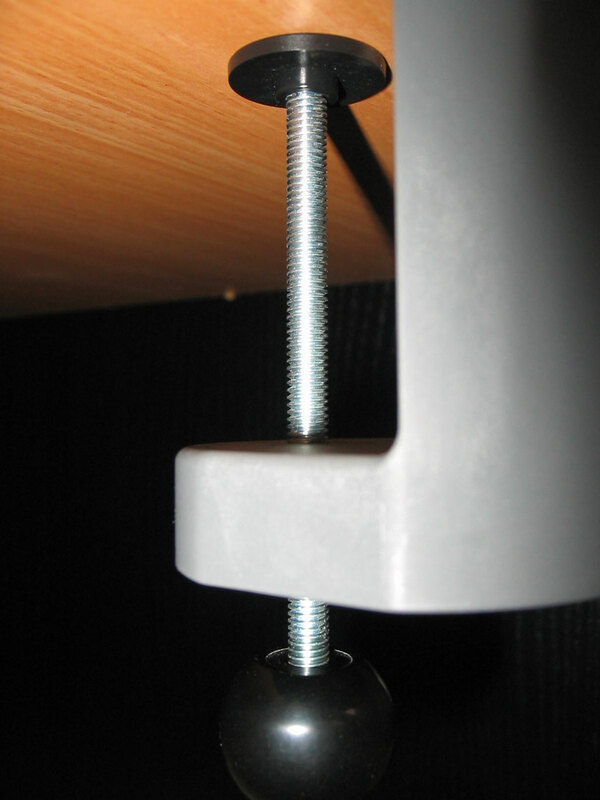 The installation is easy, and no tools are needed (see images). 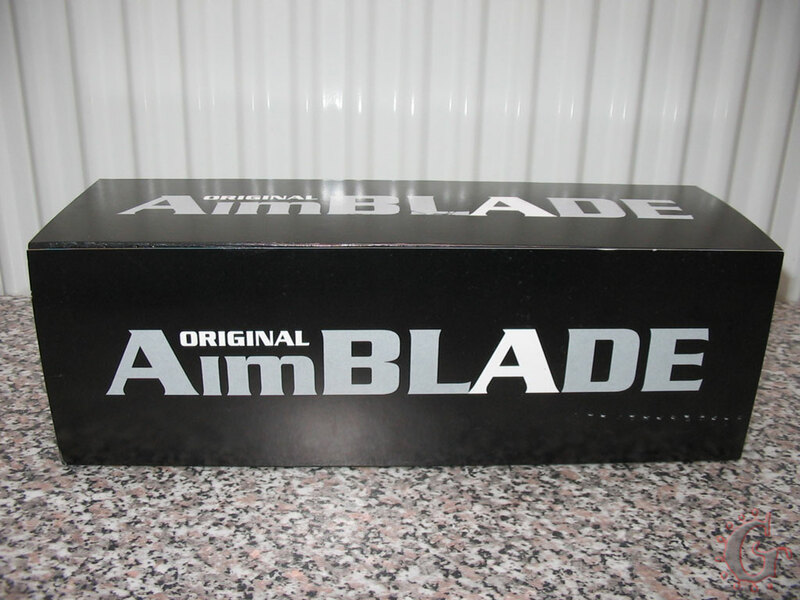 The AimBlade is made from plastic with glass fiber reinforcements to make it durable. 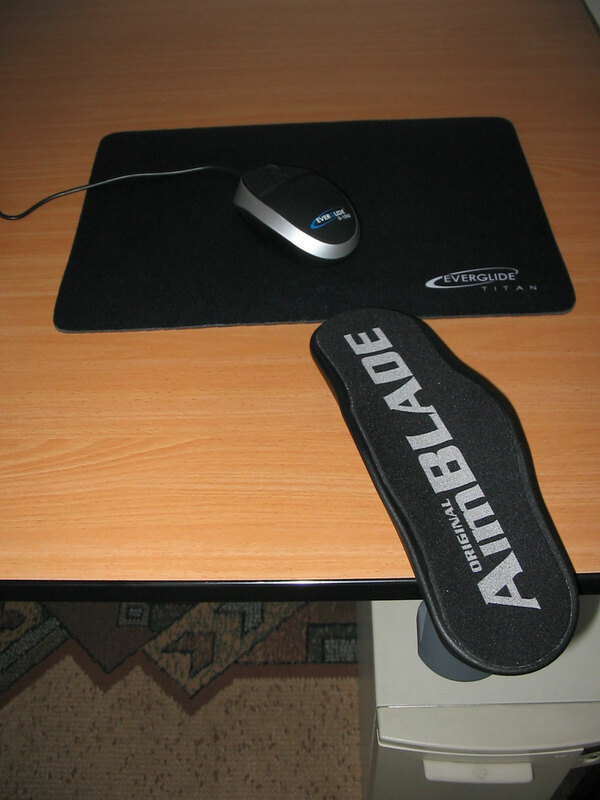 We've tested the AimBlade over two weeks - to be more exact, my wife tested it, because the AimBlade is too small for my huge arm :-D. She played The Sims 2 Pets, Titan Quest for a couple of days with the AimBlade installed. Surprisingly, she liked the AimBlade. Of course, it takes a few hours to get used to, but once you got used to it, you'll probably like it. 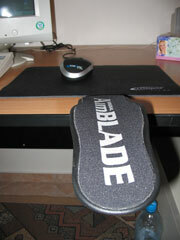 Special thanks to IndiWEB for providing the AimBlade.